We are available 7 days a week, 24 hours a day! Mold remediation involves mold clean up and removal by DryMaster specialists to address the damage and health risks associated with mold. Cleaning with bleach and water will not kill mold. Moldy material must be removed and the damaged area reconstructed; therefore mold remediation is best left to a professional trained to handle hazardous material and eliminate the spread of mold to other rooms. 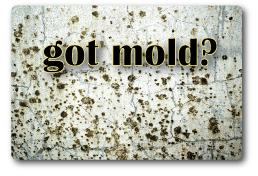 Expert mold remediation includes: Assessment A DryMaster contractor will come into your home to identify moldy areas as well as the source of the problem. He will then formulate a mold remediation plan. Containment The source of the moisture problem is addressed and the affected area is closed off to avoid contaminating the rest of your home with mold spores stirred up during the removal process. Filtration HEPA filters will be used to clean the air of mold spores and other particles. The DryMaster specialist will also wear goggles and masks to lessen any exposure to airborne contaminants. Removal Building materials and personal belongings in your home can be affected. 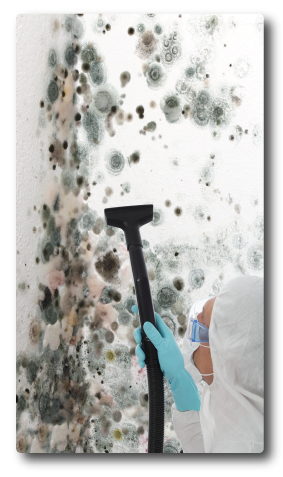 Since mold is a living organism and deeply ingrains itself into materials to survive, it is best to dispose of anything porous. The safest and most effective way to ensure mold doesn’t return is to remove affected material. Nonporous materials can be cleaned with antimicrobial cleaners and sealants may be used to make treated areas more resistant to water and mold. You may need to have your heating and air conditioning systems professionally cleaned as well. Drying It is imperative that cleaned and repaired items remain thoroughly dry. Remember, excessive moisture is how the issue started. As a result, your DryMaster mold remediation specialist will likely cover moisture management strategies to ensure your home doesn’t encounter future issues. Repair The reconstruction process will begin after all mold-contaminated materials are removed. Clean, mold-free materials will replace what was previously contaminated. Testing Following remediation, we search for any signs of recurrent water damage,moldy odors or visible mold to ensure the cleanup has been successful.